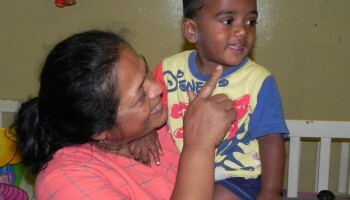 A long awaited and much needed ‘safe house’ for mothers and children in a location outside Kandy is now up and running. In order to be effective in breaking negative cycles and the children given the best possible chance of ‘success’, working with families and the wider community is essential. Some of the mums who beg on the streets are barely adults themselves. The need for safe places for mothers in particular to get away from violence and harassment has been highlighted again and again in recent years. Child Action Lanka plan to develop enterprise schemes to create sustainable income for long term support. Projects include coffee and charity shops and vocational training centres.